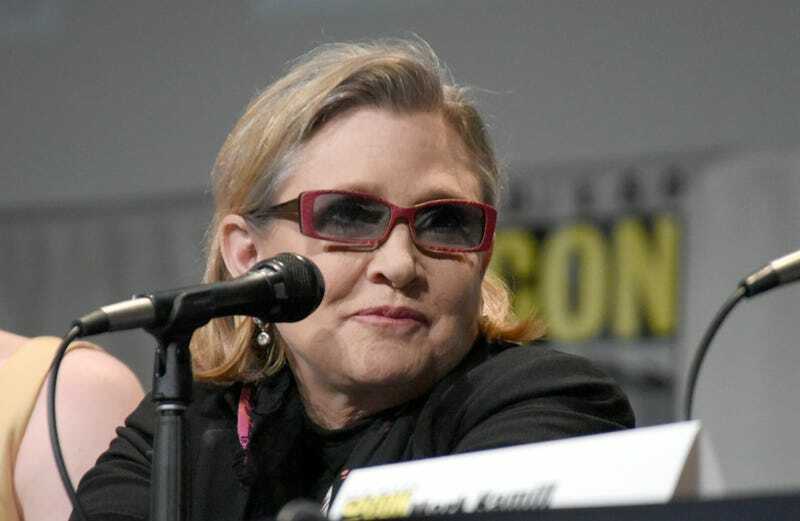 As if the holidays (not to mention this entire goddamn year) weren’t already hard enough, beloved Star Wars actor Carrie Fisher, 60, is reportedly in intensive care after suffering a heart attack on a flight from London to Los Angeles on Friday, according to her her brother, Todd Fisher. Though Todd had told reporters Friday evening that his sister’s condition had stabilized and she had left the emergency room, he qualified those remarks shortly saying he could not classify her condition. Fisher’s French bulldog, Gary, was spotted at the hospital, watching over her (several members of her human family are also there, of course). If anyone can vanquish the death-bearing hellmonster that is 2016, it’s Carrie Fisher. Just in time to open presents. Meanwhile, TMZ reports that, according to sources fro the couple’s reality show production team, Kardashian and Chyna’s alleged blowout last weekend (she left him, took their tiny daughter Dream with her, remember?) totally happened, it just wasn’t caught on tape. Reaction interviews, however, were.